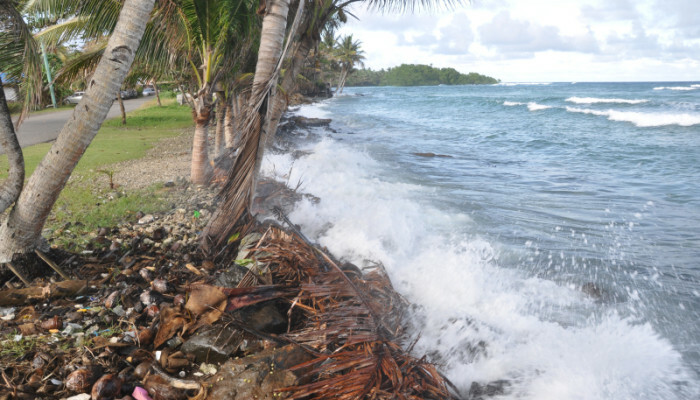 Wave overwashing at high tide of the beach at Mosral (31 January 2014). 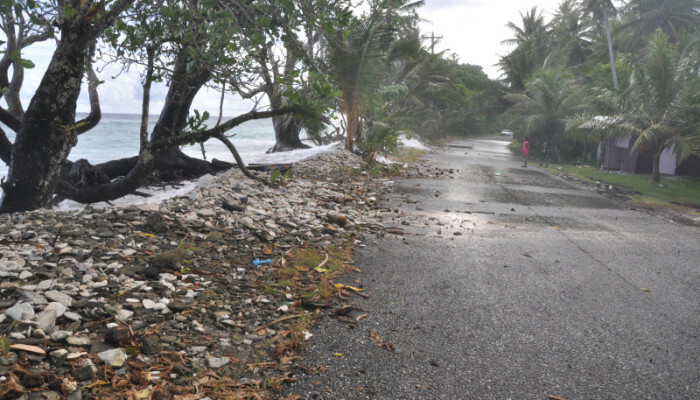 Wave overwashing at high tide of the dumped rubble attempting to protect the road at Mosral (31 January 2014). 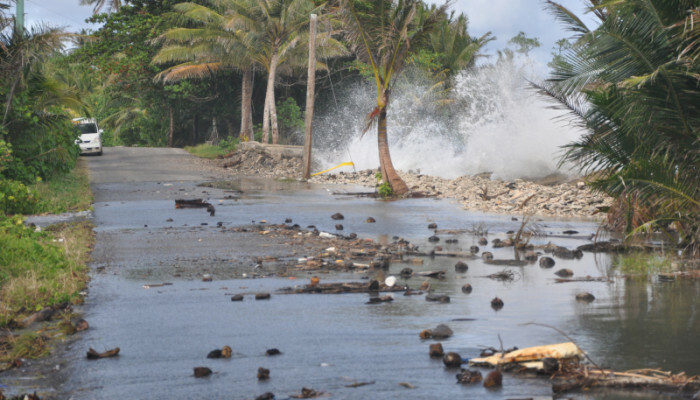 Wave overwashing at high tide of the dumped rubble attempting to protect the road at Pal, Malem (31 January 2014). 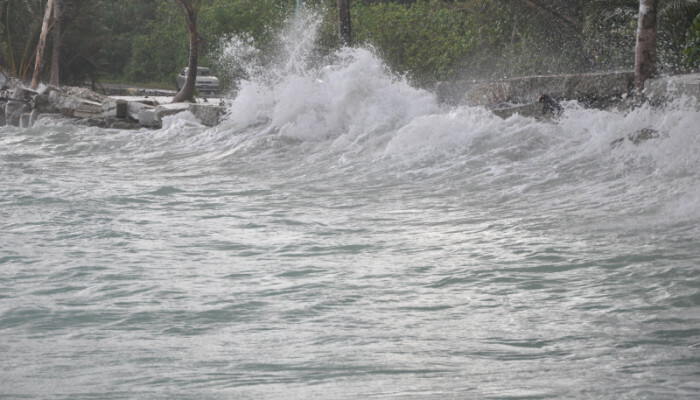 Wave overwashing at high tide of the rock revetment at Kotfwa, Malem (31 January 2014). 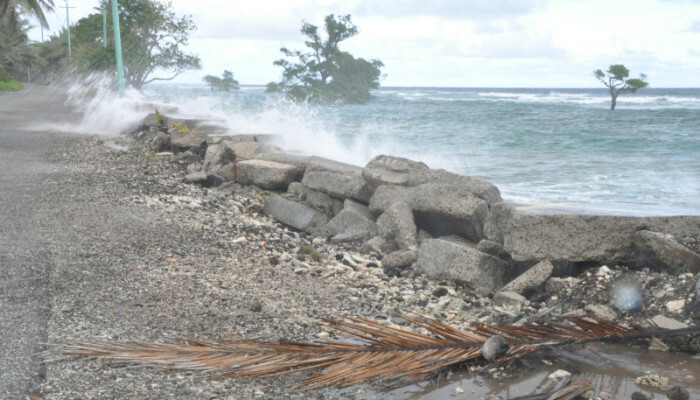 High tide and wave damage to the edge of the road at Leyot (31 January 2014). 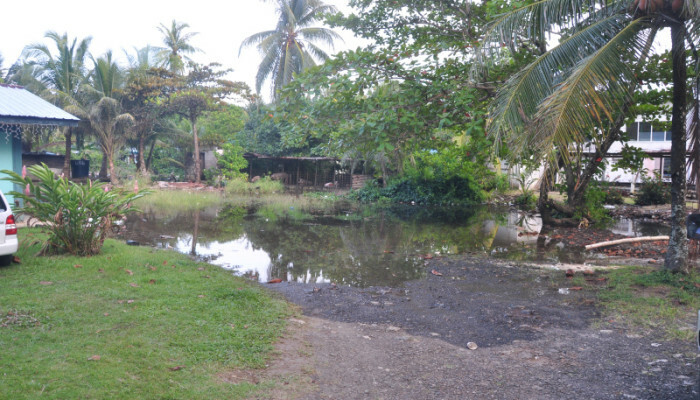 High tide flooding of the road at Tafuyat (31 January 2014). 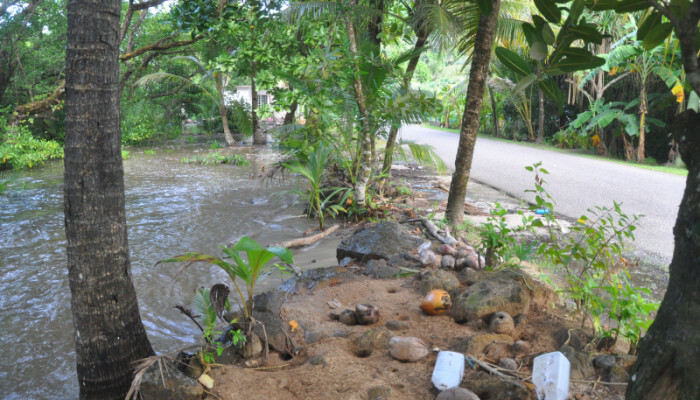 High tide levels at Skilling's Store on Lelu Island (31 January 2014). 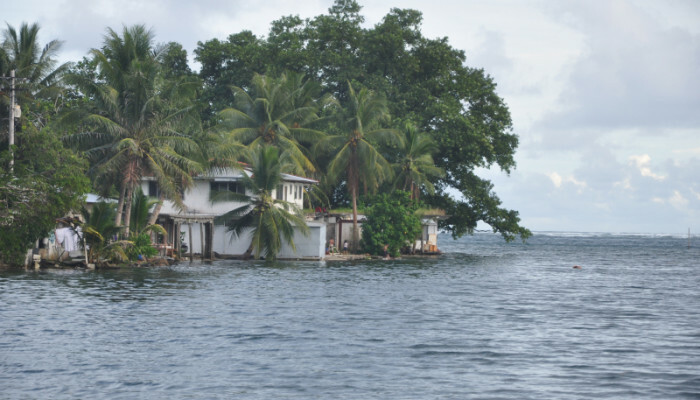 High tide levels east of the wharf on Lelu Island (31 January 2014). 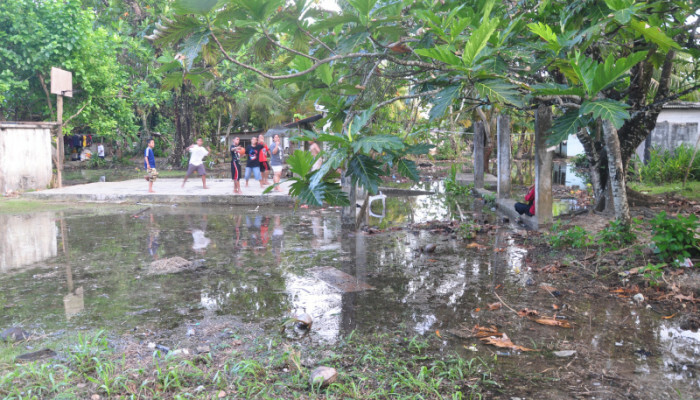 High tide flooding behind the church on Lelu Island (31 January 2014). 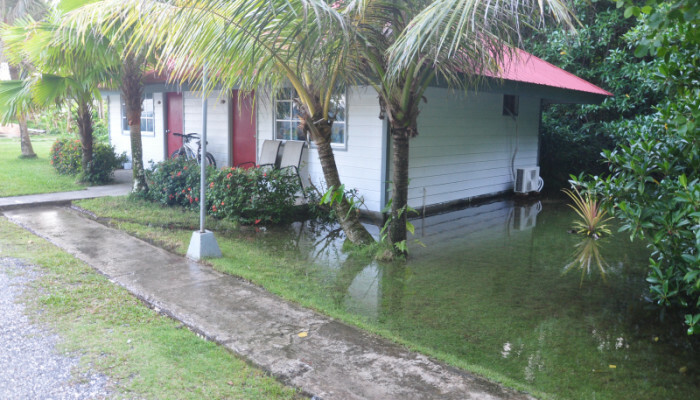 High tide flooding at units 3 & 4, Pacific Treelodge Resort (31 January 2014). 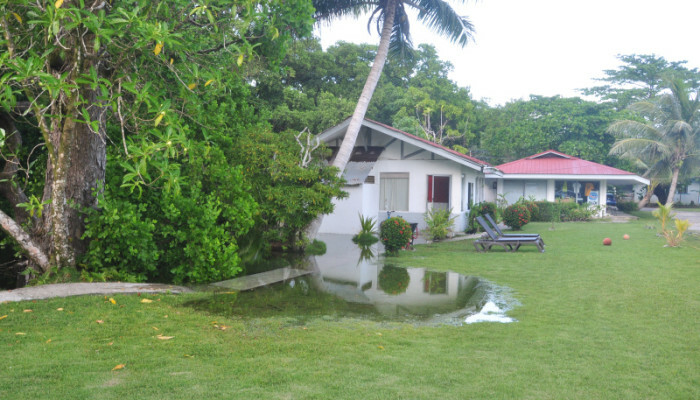 High tide flooding at units 1 & 2, Pacific Treelodge Resort (31 January 2014). 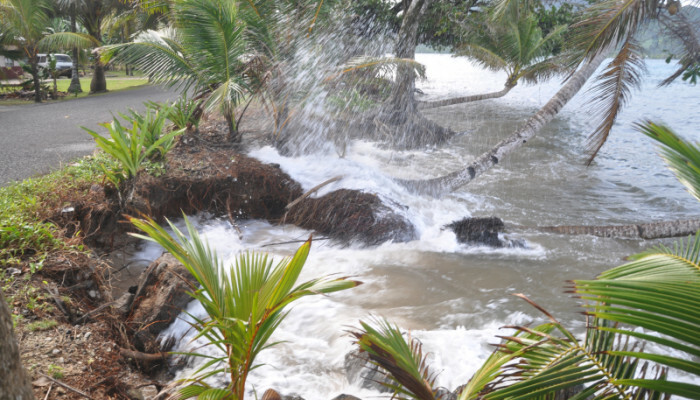 High tide flooding at the Pacific Treelodge Resort reception (31 January 2014). 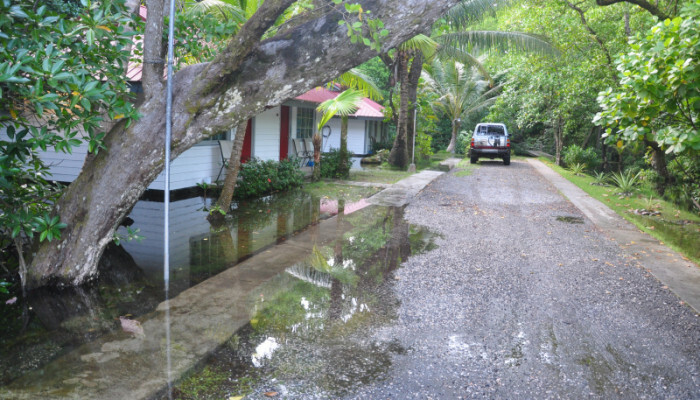 The December to February period is always a time of higher (King) tides on Kosrae. 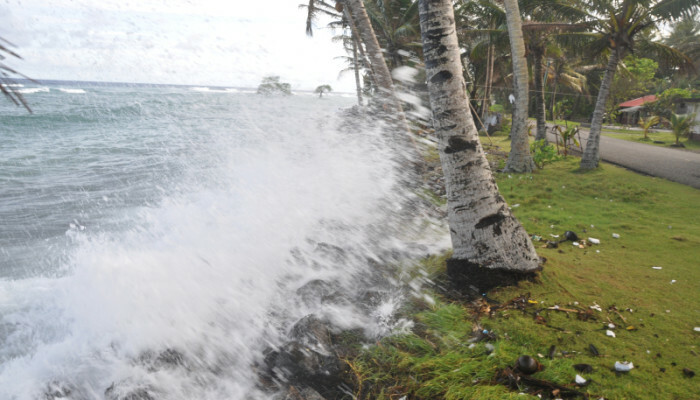 However, during the period between December 2013 to February 2014 sea levels in the region around Kosrae were around 4 inches higher than normal, pushing the already high tide levels up even further. 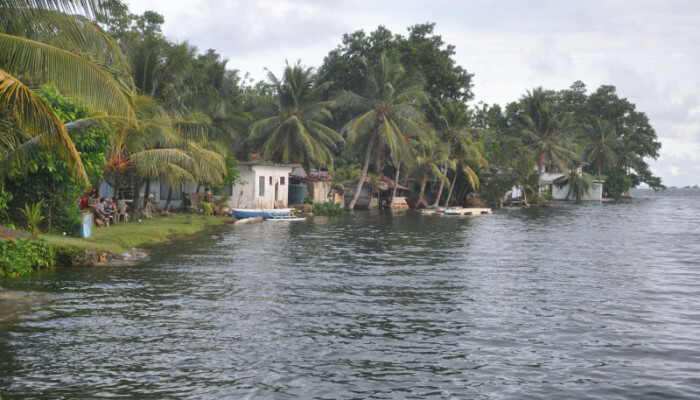 The largest tides occurred between Monday 2nd to Thursday 5th December, Tuesday 31st December to Saturday 4th January, around Friday 17th January, from Wednesday 29 January to Sunday 02 February, and from the 28th February. The highest high tide levels in early and late January were over seven and a half feet. 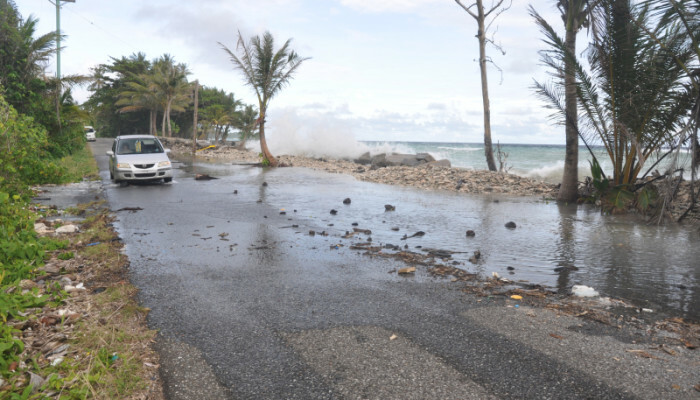 However, only some minor flooding and damage was experienced as wave conditions coinciding with the high tides were relatively modest. 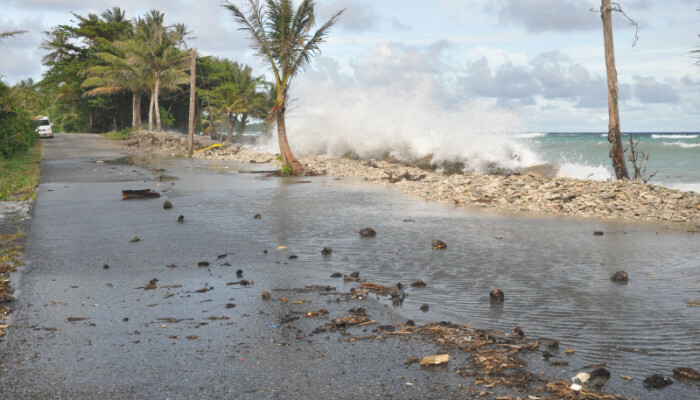 If wave conditions had been greater, more significant wave overwashing and flooding would have occurred, particularly along the Malem coastline, and damage to the road where it is exposed, for example at Mosral, Pal and Leyot, may have occurred.